Consumers have come to take barcode product labels for granted. At the check-out line it is a simple matter of scanning and bagging the products they purchase. For businesses however, barcodes play a much more critical function. Barcodes can determine everything from maintaining the proper inventory to tracking to pricing. Product labels communicate the products branding and sales message. It is why more and more people are choosing barcode labels and product labels from Tri-State Business Systems. We are your one-stop resource for product and barcode labels. We also carry quality, brand-name products. 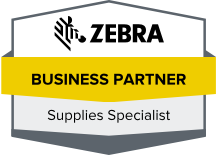 Tri-State Business Systems delivers top brand name products from Zebra, Datamax, TSBS, Sony and more. Our product labels will meet and exceed compliance issues specific to your business and we will deliver them on time and to your complete satisfaction. If you have yet to give Tri-State Business Systems a try, we want to encourage you to do so! When it comes to barcode label printing and products that need to carry accurate and complete information for, manufacturers, distributors, retail, schools, and anyone needing barcode supplies, we invite you to contact us at Tri-State Business Systems. See why more and more businesses are trusting their labeling and bar code labeling sourcing to Tri-State Business Systems.